LONDON, England -- The Russia-Ukraine crisis could last decades, the former secretary general of NATO has warned, telling CNBC that the West should consider arming the Ukrainians in a fight that is "part of a bigger Russian master plan." 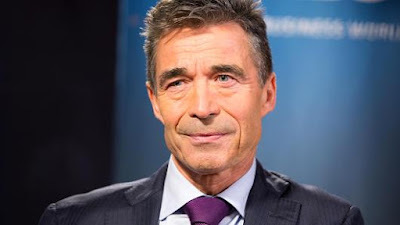 Anders Fogh Rasmussen, former secretary general of NATO. Fighting in Ukraine continues between government forces and pro-Russian separatists, who are sponsored by Moscow. Rasmussen spoke to CNBC from the annual Goldman Sachs global macro conference in London. Prior to joining NATO he was prime minister of his home country, Denmark. He now runs his own geopolitical consultancy, Rasmussen Global.